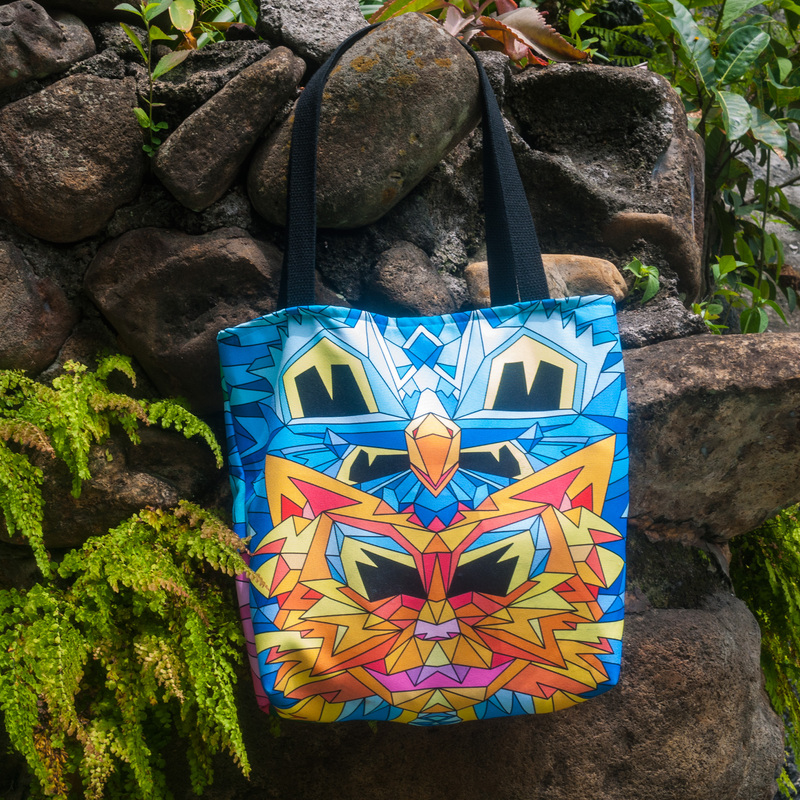 Bring your favorite Crystal King everywhere you go. 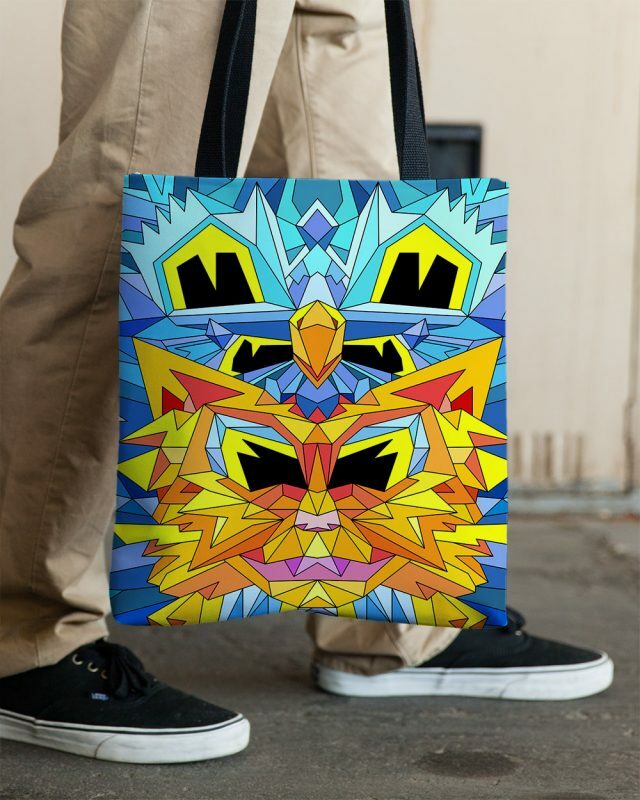 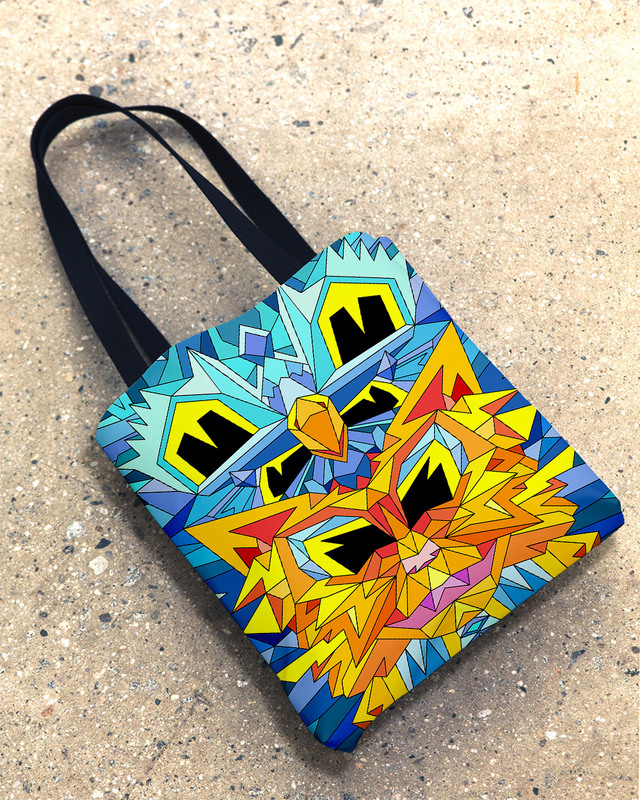 This bold tote is printed all over and on both sides with the Crystal King Firecat image that has been adjusted for this format. 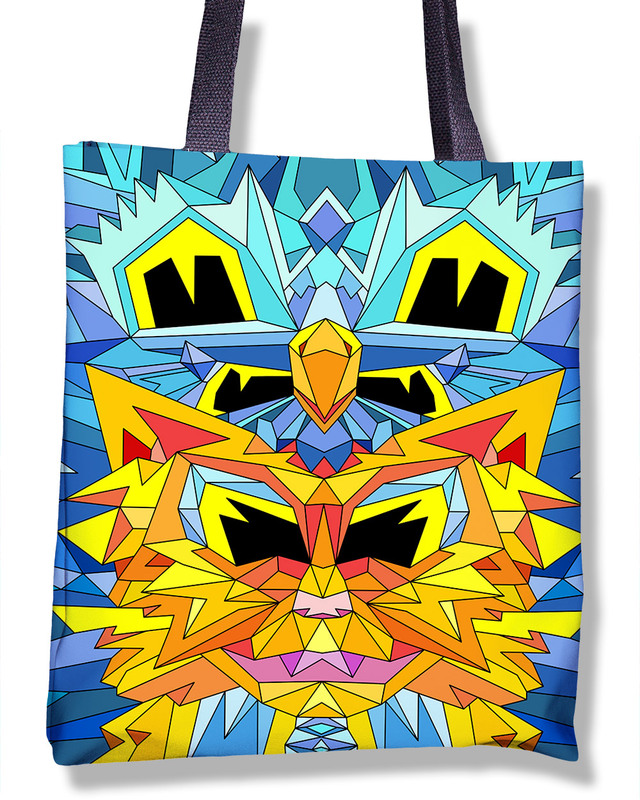 The inside of the bag is black. 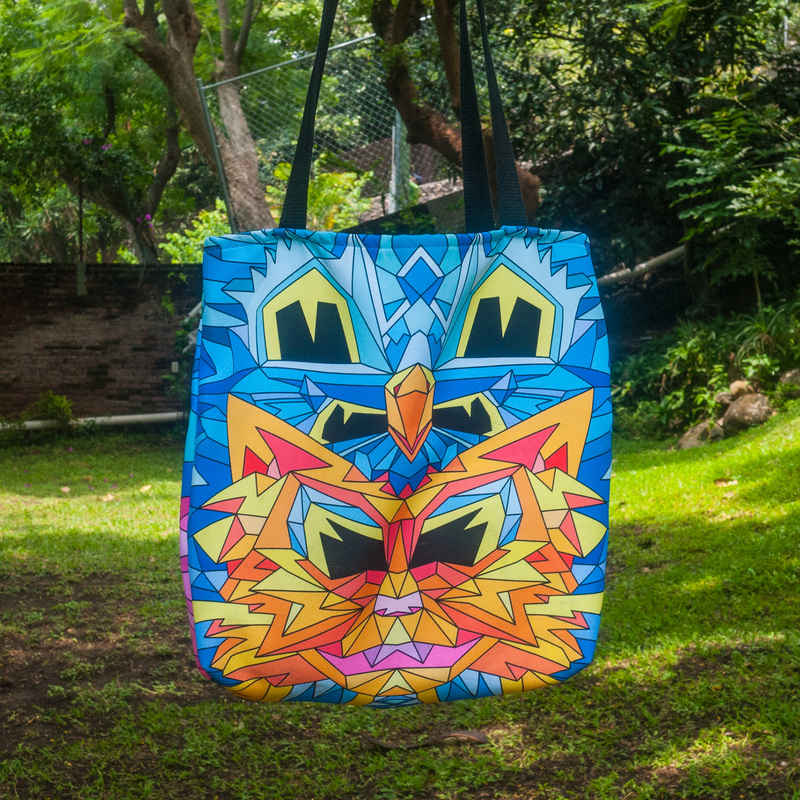 Crystal King Toad tote lounging poolside in Playa del Carmen, Mexico. 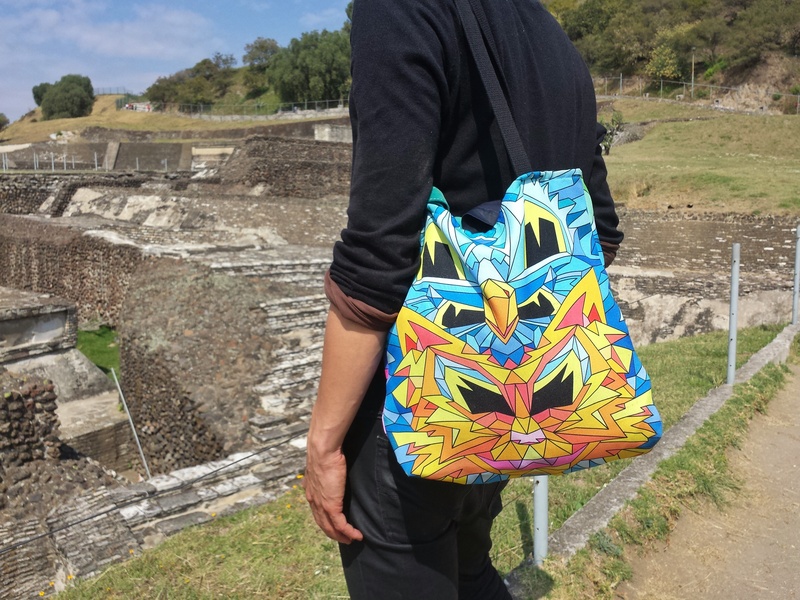 We’ve taken these totes on extensive travels through Mexico and they are a perfect size to pack essentials for a day of exploration. 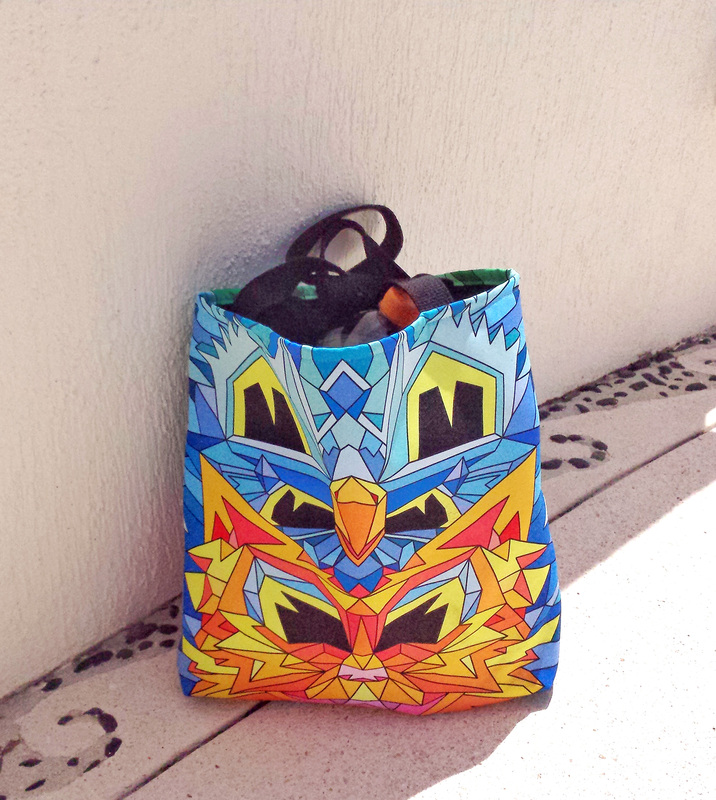 The tote adds a welcome splash of color everywhere we go. 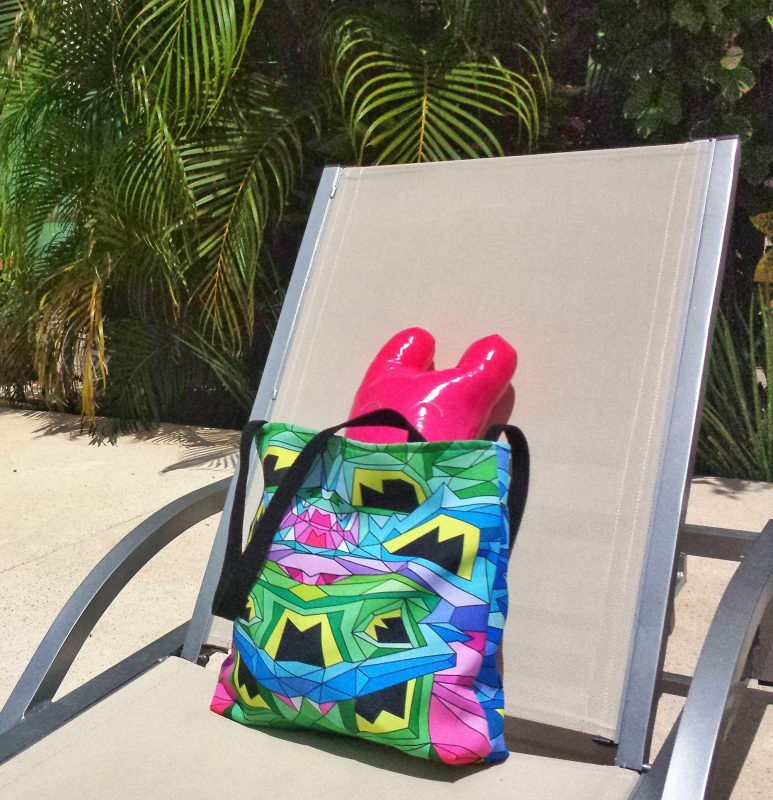 Here the Crystal King Toad bag is catching some rays by the pool in the Mayan Riviera.